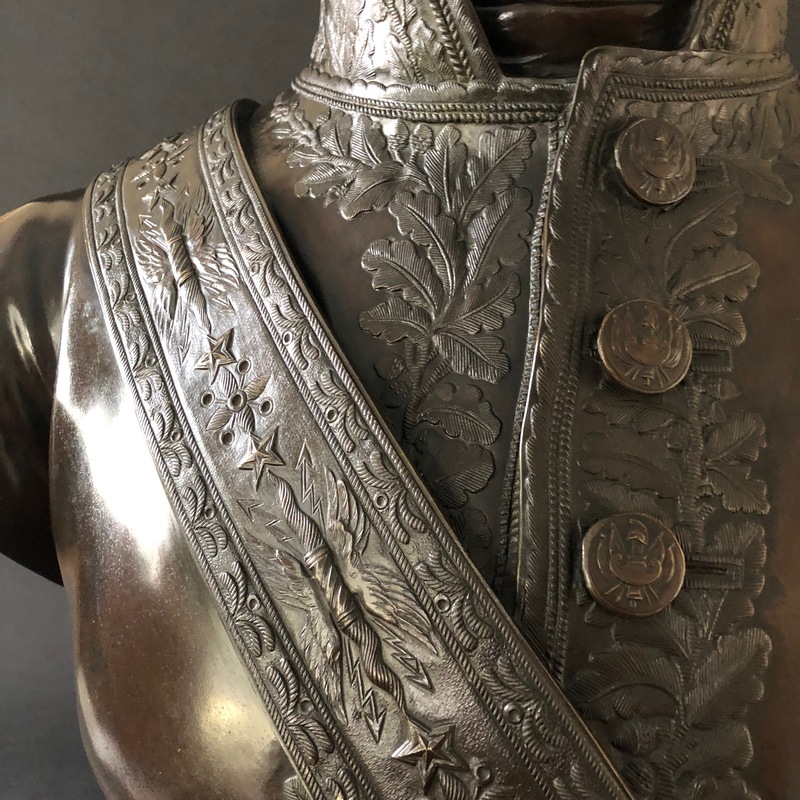 This is an extremely fine life size bronze bust of Marshal Michel Ney (1787-1804), one of Napoleon Bonaparte’s eighteen marshalls. Ney was know to be the “Bravest of the Brave”. Executed by the Bourbons at the end of the Empire, Ney is remembered for saving the remnants of the Grande Armee at the end of the tragic retreat from Moscow. The original bust in plaster by Jean-Antoine Houdon (1741-1828) is in Versailles. 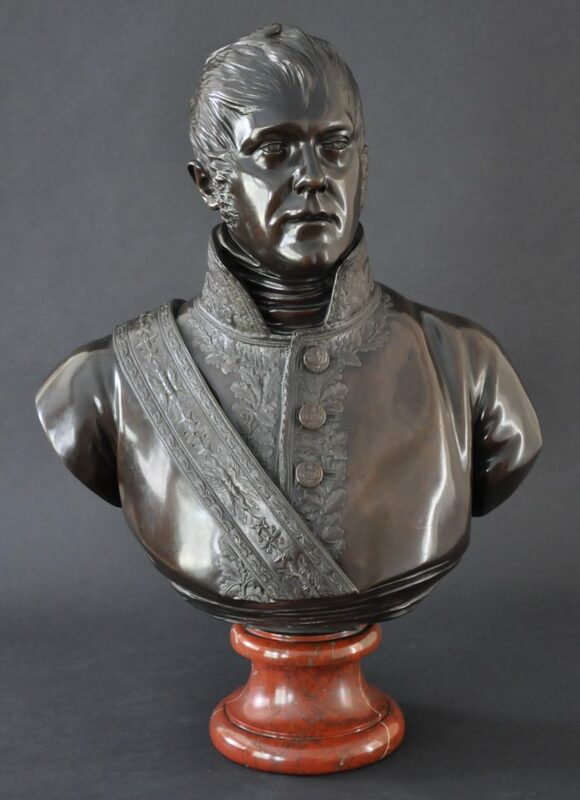 One of the few portrait busts of the marshals, it is dated the revolutionary year XII. 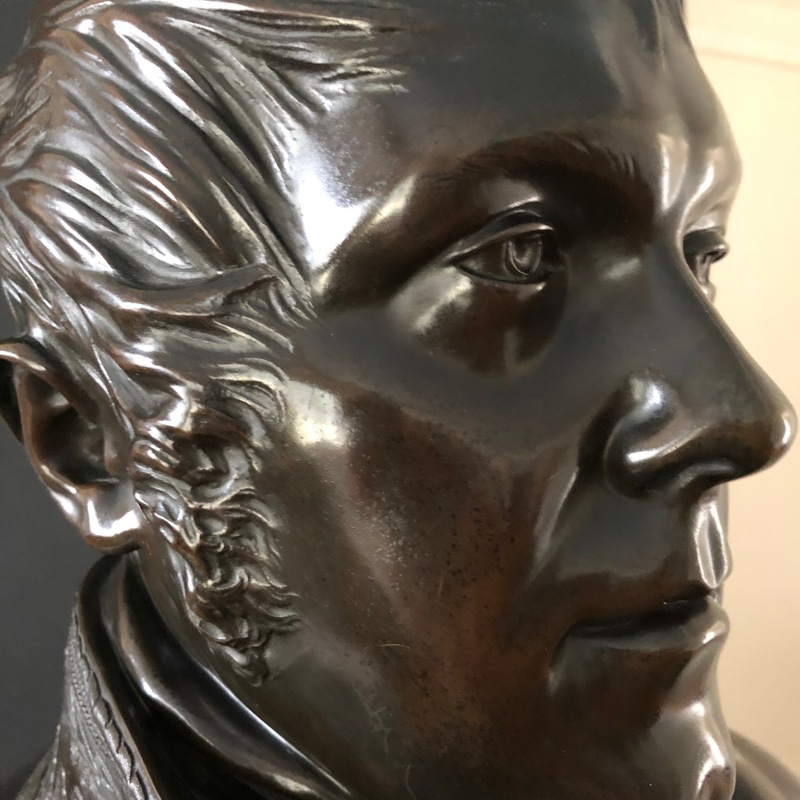 The bust of Ney was cast around 1840 by the Parisian foundry of E. Jullien. The timing of its production coincides with the return of the body of the Emperor from the Island of St. Helena to Paris. Preceding the return of Napoleon 1st , there was a nostalgia for the Glorie of the Empire and politically for a resurrection of its heroes. 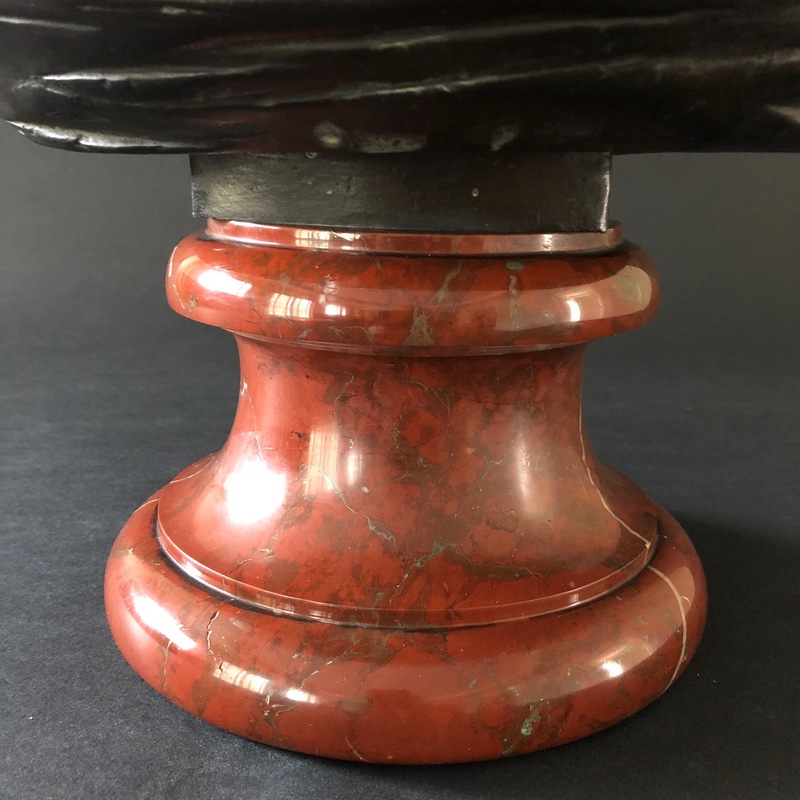 The marble socle is made from the same rouge red marble as was used in the making of Napoleon’s tomb. 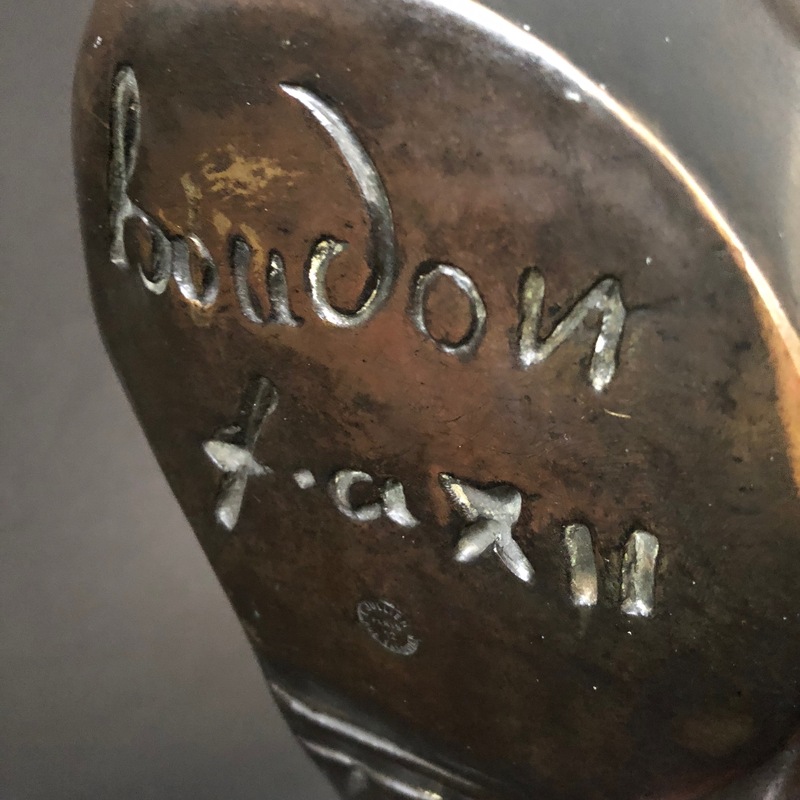 The foundry of E. Jullien flourished in the early 1840’s making it logical that the choice of the rouge marble for the socle of the bust of Marshal Ney would further add luster to this historical relationship. Jean-Antoine Houdon was one of the greatest of all portrait sculptors. His portraits have left a legacy of likenesses of the greatest men and women of the time. His portraits are found in many of the world’s major museums and collections. Aside from the many European notables, Houdon sculpted portraits of Washington, Jefferson, Franklin, Robert Fulton, and John Paul Jones. Height: 30½" Width: 21½" Depth: 12"